be at Cane Bay where Mr.
tradition as they have done for milleniums. Studies. 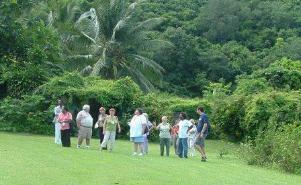 They also have links to other Caribbean Archaeological work being done. entrance into our international organization. 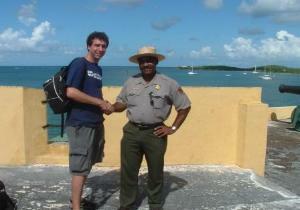 pose with National Parks Service Superintendent, Joel Tutein, at Fort Christiansvaern. in 1493 on November 14th. 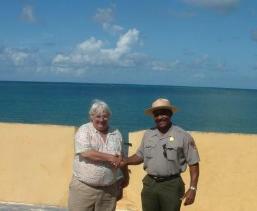 St. Croix Archaeological Society Inc.
may result in termination of membership. goal shall be to preserve in situ as much as possible. lies in what they and their context can tell us about people who can no longer speak. The Society may sell properly marked reproductions. 5) During excavations other peoples’ beliefs shall be respected. 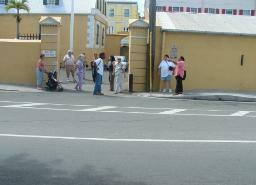 6) All applicable laws, rules and regulations shall be followed at all times.